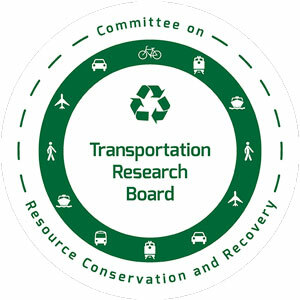 This will be the 18th consecutive workshop hosted by the Committee, continuing its promotion of thoughtful leadership on contemporary and forward looking environmental, energy, resource efficiency and waste minimization issues surrounding transportation systems. This year’s workshop will be at the historic National Academy of Sciences located in the nexus of transportation concept development and planning, Washington DC. Federal, State, and local transportation agencies, practitioners, and academicians will gather to review existing practices and tackle the challenges to develop environmentally sustainable, resilient, and efficient transportation infrastructures within the U.S.
Join us!……and share in the timely information exchange advancing the ideals and innovations of transportation system design and management. The registration fee includes all sessions, morning and afternoon breaks, light breakfast on Monday and Tuesday, lunch on Monday and Tuesday, reception on Sunday evening, and dinner on Monday. General registration includes the reception and dinner. Tickets for guests of attendees can be added for an additional fee. The Resource Conservation and Recovery Committee (ADC60) is accepting applications for scholarships to participate in and attend this workshop. Refunds will be issued, less a $50 cancellation fee, for all cancellations received in writing by June 7, 2019. No refunds will be issued thereafter. Code of Conduct: TRB is part of the National Academies of Sciences, Engineering, and Medicine (NASEM) and follows the NASEM guidelines in preventing discrimination, harassment, and bullying of participants at NASEM events, including TRB conferences.